Kids like Aleczander need multi-sensory instruction utilizing Orton-Gillingham time tested methods in order to learn to read and write. In addition to being enrolled in a third grade classroom at a private school, Aleczander was able to attend an after school dyslexia program at the Scottish Rite Learning Center. In January of this school year, he was forced to exit the program due to the fact that his speech continues to be unintelligible to most listeners in connected speech. The good news is that Aleczander really was able to benefit from the dyslexia program and that he is starting with a new speech therapist tomorrow. Our hope is that after intensive therapy for his apraxia, he can re-enroll at Scottish Rite next fall. Please keep your fingers crossed! (1) Dyslexia means a disorder of constitutional origin manifested by a difficulty in learning to read, write, or spell, despite conventional instruction, adequate intelligence, and sociocultural opportunity. (2) Related disorders includes disorders similar to or related to dyslexia such as developmental auditory imperception, dysphasia, specific developmental dyslexia, developmental dysgraphia, and developmental spelling disability. As a toddler, Aleczander’s language, fine and gross motor skills were delayed so, acting upon advice from Aleczander’s doctor, his parents sought and received special education interventions for him through the Preschool Program for Children with Disabilities (Odessa ISD) and through Early Childhood Intervention Services (Permian Basin Rehab Center). write his or her name. After Aleczander and his family moved to San Antonio, parents attempted to enroll Aleczander in programs similar to the Permian Basin ones. Sadly, despite his previous assessments and record of special education services, Aleczander was denied admittance to PreKindergarten and wasn’t assessed for any special education services at all until he was six years old. Although Aleczander no longer attends a public school, he did attend his local elementary school during Kindergarten and First Grade school years. Although Aleczander displayed the characteristics of dyslexia as delineated in Texas Education Code (TEC) §38.003 (see below), public educators and specialists didn’t ever realize that he met disability criteria as a student with specific learning disabilities such as dyslexia, dysgraphia, and apraxia. rely on pictures, context or memory to recognize a word. Fast forward to today’s video. This is what multi-sensory instruction looks like. Aleczander’s teacher and classmates understand (as no one at the public system ever was able to do) that Aleczander has a learning disability that makes it hard (but not impossible) for him to learn to read and write. Watch as Aleczander uses what looks like a fly swatter to slap one-syllable “Popper Words.” These high frequency words have to be memorized by children with dyslexia as most cannot be sounded out phonetically. 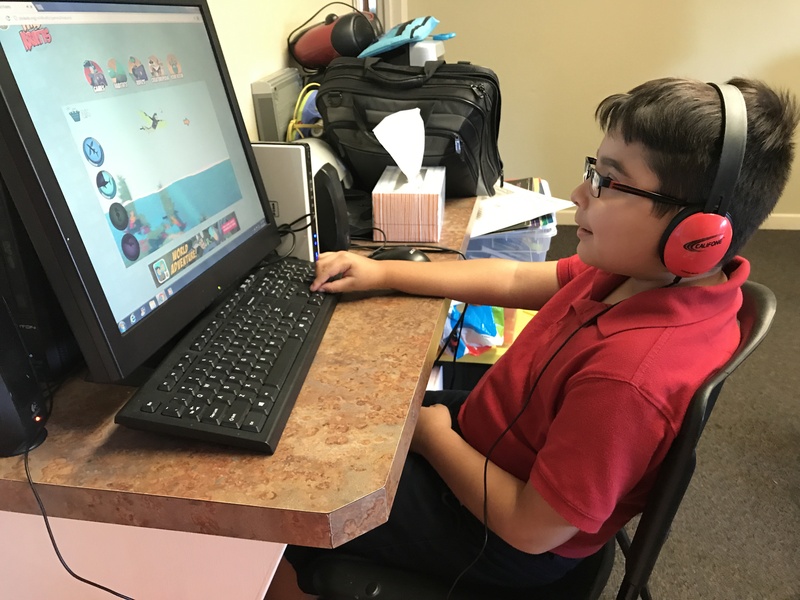 See Aleczander’s excitement grow as he continues to benefit from his teacher’s enthusiasm, the support of his classmates, and the utilization of the multi-sensory teaching techniques that are also used in the after school dyslexia program. This entry was posted in Learning Disabilities, Saving Aleczander. Bookmark the permalink. I wish all teachers from Pre-K through third would see and read this. It is so well explained , so true, and so touching. and that he continues to progress! Thanks Ruth! I’m never giving up on this little guy! He’s so determined to learn to read and write and talk just like everybody else! He really inspires me!